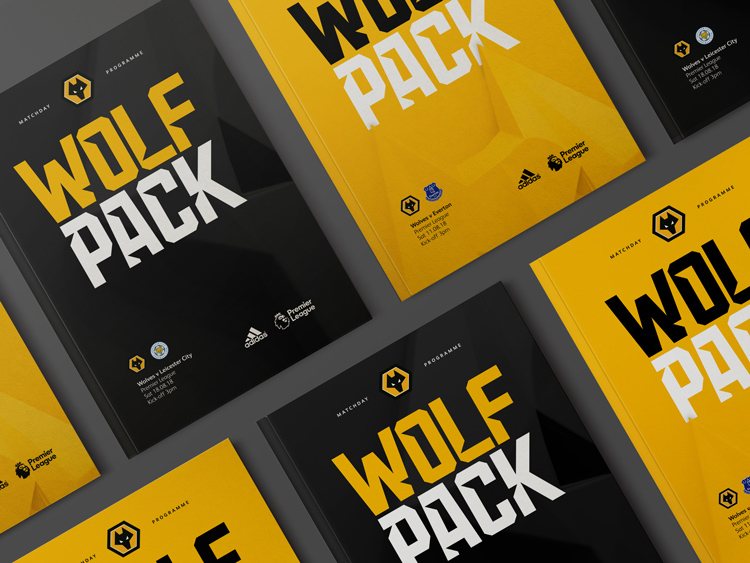 Design studio SomeOne has developed a new brand identity for Wolves football club. 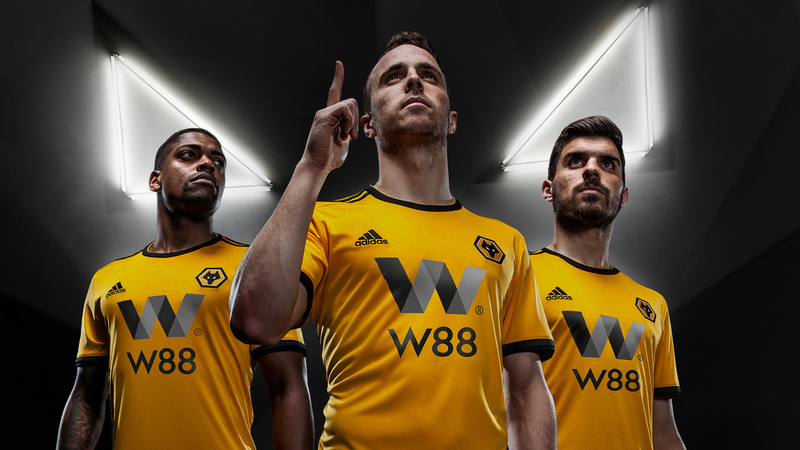 The new branding was created to reflect the new era of the club under the leadership of the Fosun Group, according to the studio, a Chinese organisation who took over the club in 2016. 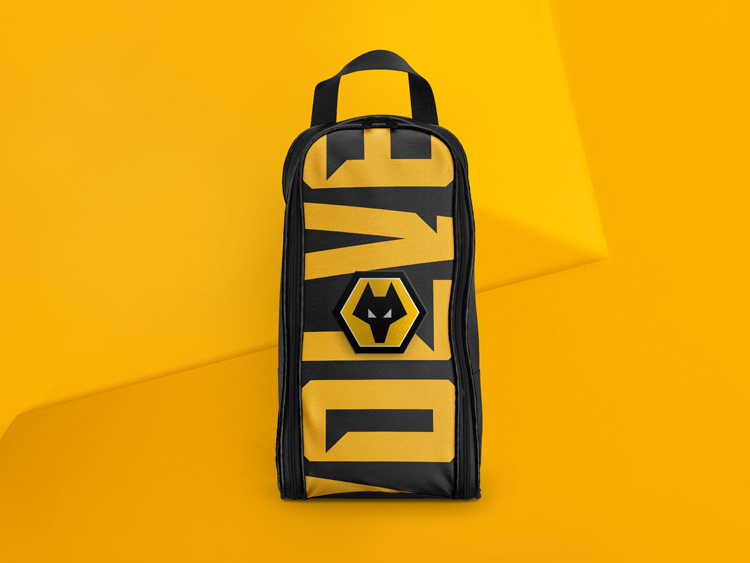 SomeOne’s brief was also to encompass the Wolverhampton Wanderers F. C.’s past as a founding member and champion of the English Football League, which started in 1888, while giving the club a “new distinctive personality, narrative and [brand identity],” for the future. 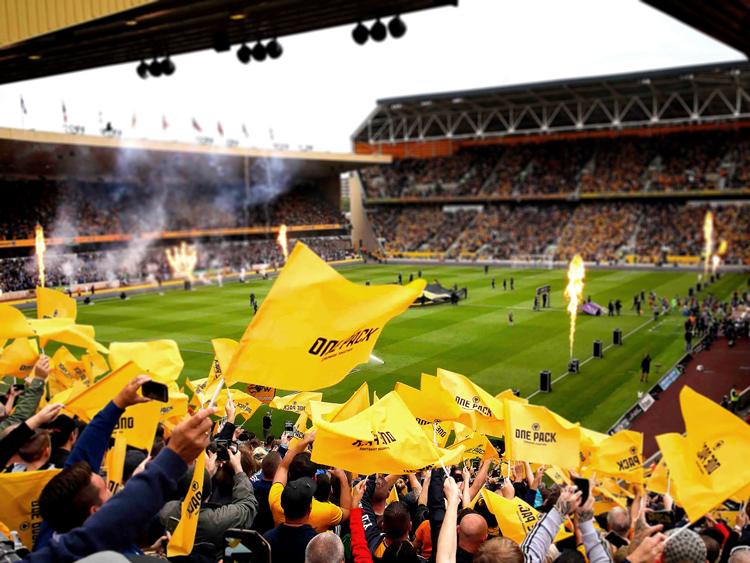 While Wolves has historically been quite a “local” club with a “really passionate” fan base in Wolverhampton, Rhodes says Fosun was keen “to build more of a global audience”. The football club has recently been promoted back to the Premier League after winning the EFL Championship with a record number of points last season. 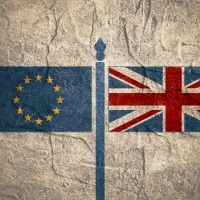 Following the team’s recent successes, Rhodes says people who may never have seen Wolves play in the past may now develop an awareness of them, including those in other countries. 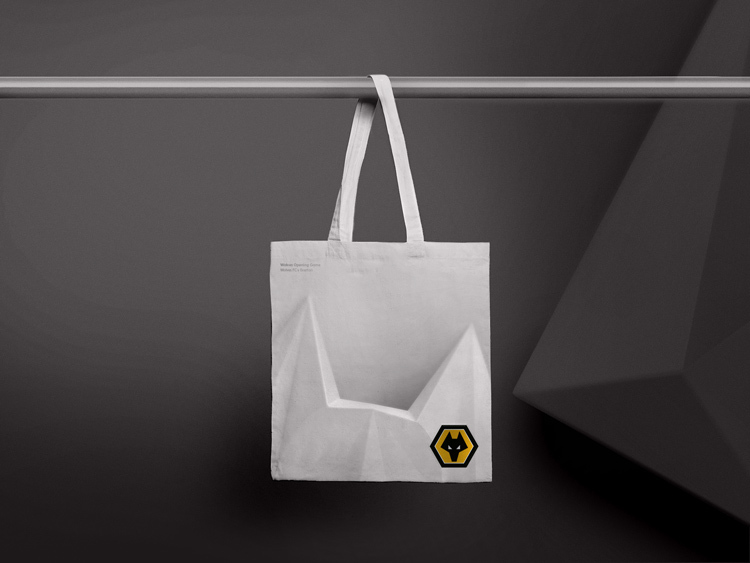 The aim was to “extend the brand” to appeal to a wider fan base, while keeping it “grounded in the history” of Wolverhampton. The new designs include a three-dimensional (3D), tonal head image, which was inspired by Wolverhampton’s heritage of steel and ironmongering. “It is borne of the history but changed for a new modern audience,” Rhodes says. 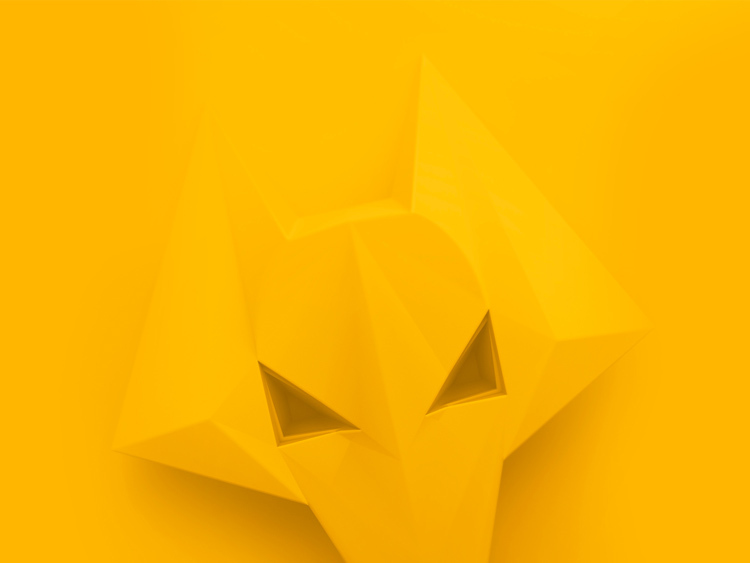 The 3D wolf-head, which will appear digitally in a range of different crops across branded materials, is designed to look like it has been “forged”. There are also plans for a physical 3D wolf head to be made in future. 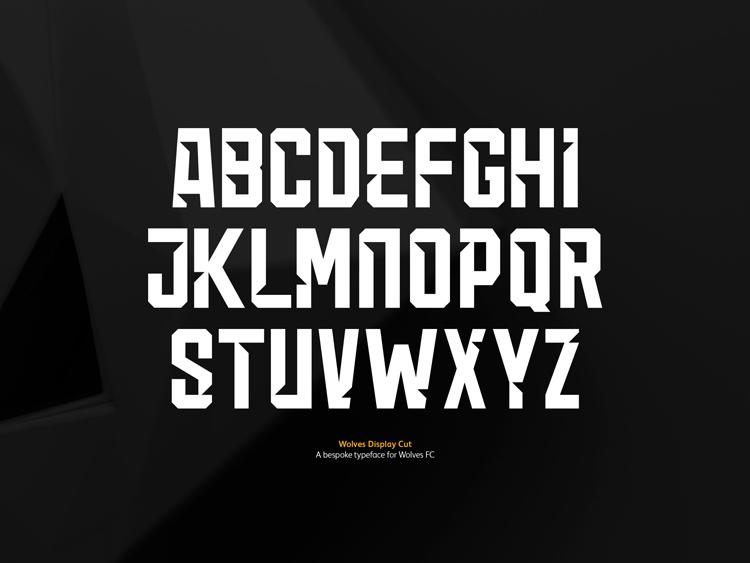 Two new sans-serif typefaces, Wolves Display Cut and Wolves Display, have been created, both in a bold condensed style, which “give a nod to the city’s industrial heritage”. 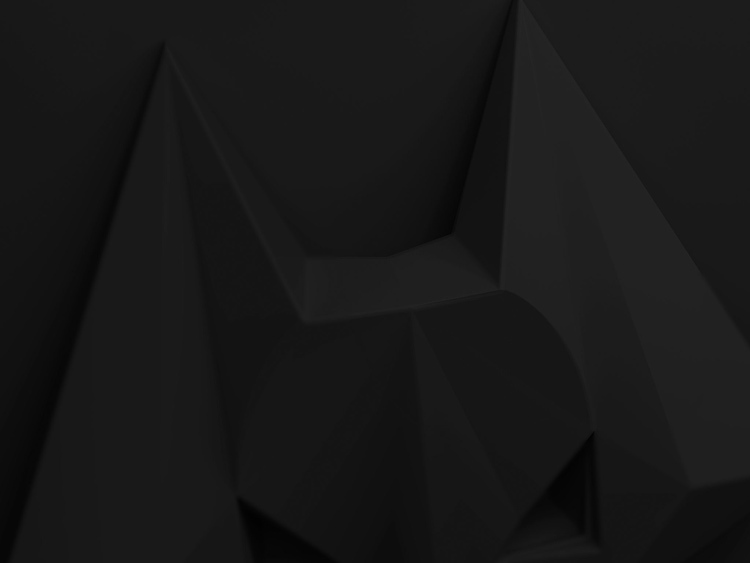 One has been taken further by adding the triangular shapes of the wolf eyes to the letters. 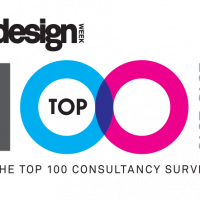 Ian Dawson, designer at SomeOne, says: “By using the geometric forms of the eyes, we began removing cuts and angles from the letterforms. “Moving forward, this allows the club to speak in a distinctive and ownable voice, without relying too heavily on the badge. 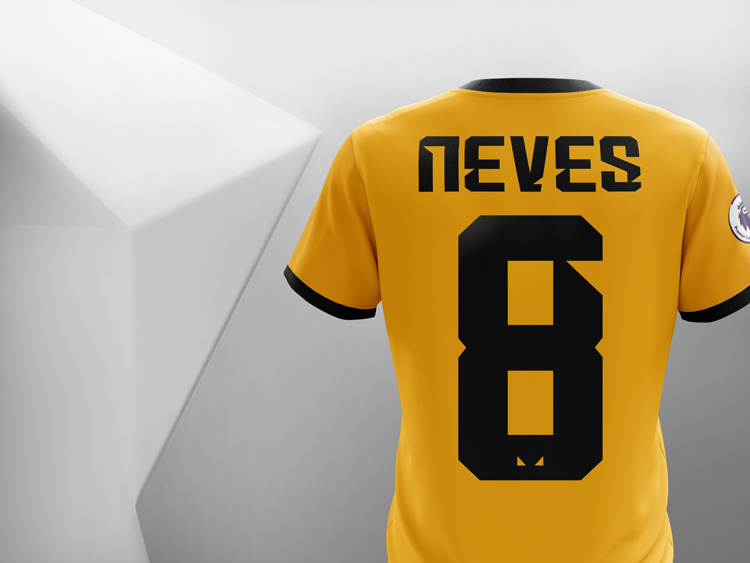 The colour palette follows that of the team’s colours – black and a yellow colour known as “old gold”, which was recently changed from a more orange shade. The words “wolf pack” have also been made more prominent across the brand identity. The club’s previous branding was “strong” and “simple”, according to Rhodes, but “did not really reflect the ambitions of the club”. SomeOne consulted with a range of stakeholders on the branding, including a group of fans unofficially known as the “fan parliament”. “A lot of clubs have new ownership and it can feel like the club is removed from the fans,” Rhodes says, adding that they were keen to ensure this did not happen and the fans remained integral to the club, and the brand strategy. 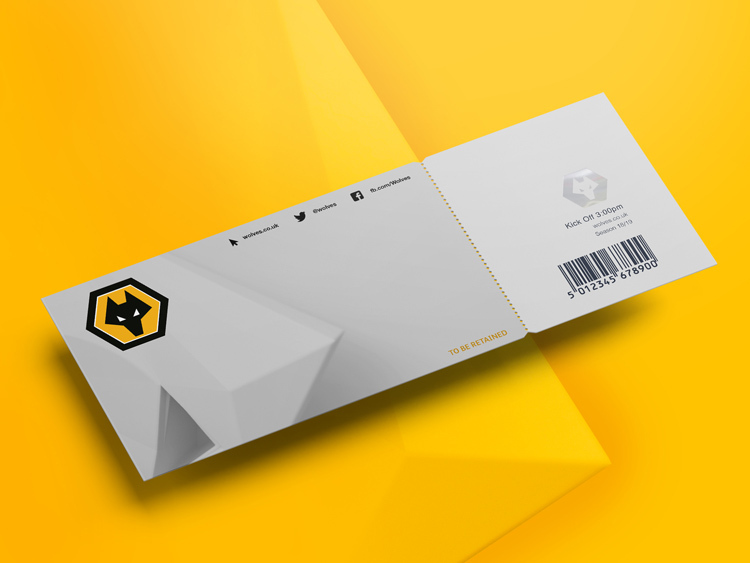 The new brand identity currently features around the football grounds and across marketing and communications, but is set to be extended further, including to the club’s changing rooms and tunnel. Very exciting overall though at first I thought it a little bit reminiscent of Batman. 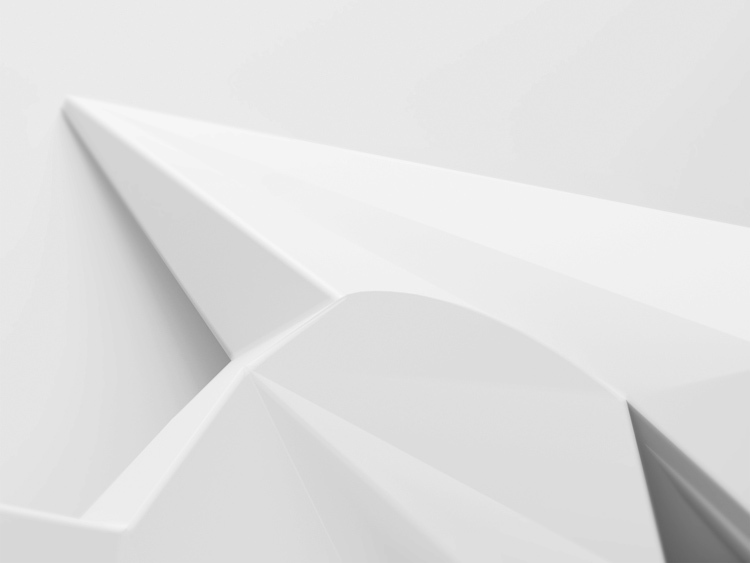 Extruding a logo into 3D and cutting a few triangles out of a typeface, hardly worthy of a song and dance is it? Slow news week I guess. 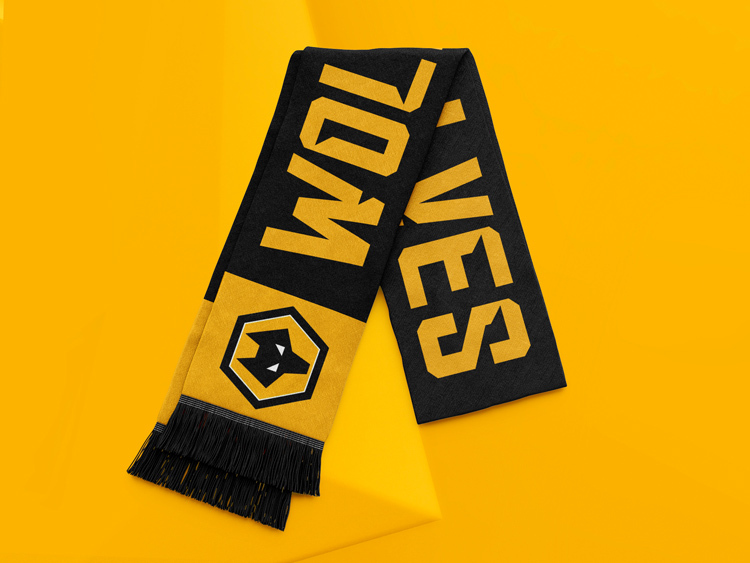 As a very excited Wolves fan I am totally on board with what Fosun are implementing and the changes on and off the pitch are clear for all to see. However, Batman has no place other than Gotham City. This is certainly one of the better brand developments for a pro sports team. I’m a Gooner but I like the way Wolves are elevating themselves now they’re back in the Premier League. The only criticism (constructive) I have about the 3D wolf head and the accompanying rationale for it, is based on the reference to industrial heritage. Taking the angular approach, couldn’t the head have been cast out of a metal or pressed out of sheet metal (whatever’s most relevant to the industry of the area ie ) to create a true 3D physical old gold structure as opposed to a soulless 3d rendering? Maybe that was proposed? Remember what happened to Leeds another club with spending ambitions.A dangerous road! !